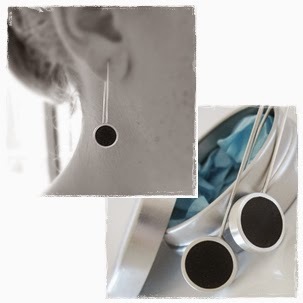 A very big thank you to all who entered my recent competition asking for your opinions on my new design. The majority of votes were for the new design, which is what I was hoping for as I think the new style is a little bit of an improvement, but there were some votes and surprising comments for the old design which makes me wonder if I should keep both. I will have to mull that one over and will leave both styles online until I decide. 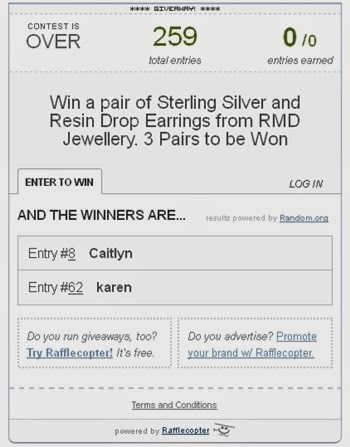 Congratulations girls, contact me at info@rmdjewellery.com.au to collect your prize and confirm your preferred colour, and just because I can, I will happily create any colour you like, not limited to those in the listing.